All sports, like the evolution of species, must progress. But what does that mean? What is progressive and what is considered regressive? Here we are considering this year’s change of impetus from hardball cricket to the Deutsche Cricket Bund’s (DCB) new preference for tennis ball cricket, with its many tournaments. 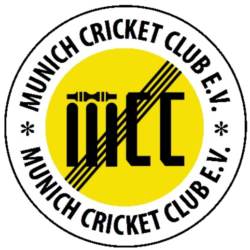 I’ve played cricket in Germany for three seasons now and in such a short time I have witnessed the dumbing down of cricket in successive seasons. In my first year we played in whites and used a red ball. This was true for both league games and friendlies, of which there were many. In the second year the league introduced coloured kits for league sides and the white ball. Why? Actually, I have no idea. Much of the recent proliferation of cricket in the country has been due to the influx of immigrants and especially refugees from Afghanistan/Pakistan. These people don’t typically have money to spare and buying special kits costs more. When whites were the order of the day a trip to the second-hand shop would yield all you needed for just a few euro. Now you can’t play for a side unless you are wearing the club kit. You have to shell out €80. You could argue that it makes it easier to explain the game to someone who has never seen it? “The red team is playing the blue team.” But if “The two guys holding the bats are playing against the rest.” Is too hard to grasp, then there is a high chance that you will never get to a point where you can explain the LBW law to that person. Cricket was never meant to be a game for a brain limited to the rules of football. I don’t have any particular beef with football itself, but 80% of the rules are contained within its very name. Cognitive agility is not an enormous prerequisite for understanding what’s going on. There is living proof of this, everywhere. A white ball is not a stained leather, whereas the red ball is. White leather requires so much processing that the chosen way to manufacture is to use lacquer. What you hold in your hand at the start of the first over is a perfectly covered, shiny white orb. What you get back after the third ball is a white object with an already ruptured surface that cannot be massaged a back to a sheen. Is the white ball a progressive move? Some say that you can see it better, but then there have been numerous instances of a fielder losing it against a cloudy background. So you give what you take here. Now in my third season we have the introduction of wooden pitches (consisting of chipboard and some form of matting) and the German Cricket Boards desire to push tennis ball cricket. For the hardball game to already have descended in to pyjama cricket, using an inferior white ball, on wooden (WOODEN!?) surfaces is woeful. Now we have the spectacle of grown men playing the game with a tennis ball. Tournaments are being arranged weekly and invited sides have to pay to enter. Why? You tell me? This was a highly competitive sport, played socially with the understanding that your hospitality would be reciprocated during the season. No money changed hands. Now it is near impossible to find a Sunday opposition willing to play, because they all want to run a tennis ball tournament to raise money. The one thing we are told people don’t have! So to put the question of “Progressive or regressive?” to the test, I have taken a few other activities and used the same philosophy to see how they would catch on? The first is a game that I call “Not-snooker”. For this you require a standard snooker table, cues and chalk. The only thing you need to substitute are the usual balls for appropriately coloured ping pong balls. The resulting game is peculiarly infuriating. Not entirely satisfied with the outcome, I moved on to the exalted game of football. As we know the use of opposing kit colours are already in use, but I sought to simplify this further for cats, dogs, mice, rats and rabbits. All of whom have poor colour vision. “Creepy-crawly-football” involves far less fouling/diving than regular football as one side is required to move as if stalking a deer, whilst the other side is restricted to crawling. The balance is evened out at half time when both sides switch postures. Anyone on the creepy side caught moving at a rate deemed faster than a stalk gives away a free kick to the crawlers. This proved to be a highly watchable game, though ninety minutes was eventually testing. On the plus side, no injuries were sustained and a similar number of goals scored to that of the original format. Lastly I abandoned ball games. Snooker had failed and replacing a football with something more toy-like had been hard to conceive of. So I turned to track and field, most specifically javelin. Surely here was a sport that would benefit from the helpful hand of misguided reverence? And so I invented “Shuttlecock-in”, whereby contestants sprint towards the fault line and hurl a shuttlecock as far as they can. Technique is everything in “Shuttlecock-in”. The timing of the release and the speed of the approach matter, as does wind direction. It is very important we found, not to have a headwind. Not only does “shuttlecock-in” work as a dumbed-down sport, but it is safer, open to a far wider audience than Javelin and has the added benefit of not having to walk very far to retrieve your projectile. Struck by the apparent success of “Shuttlecock-in” I put forward the idea to the Olympic committee, who rejected it out of hand. Given this background, we were very pleased to receive an invitation from Lufthansa CC to play a rare Sunday friendly at their ground. A very welcoming Uday greeted us as we arrived and the rest of the team were all smiles and keen to get some hardball cricket in. This Lufthansa side had a mixture of nationalities including a couple of Englishmen, Afghans and Pakistanis. It was a pleasure to register as I can only think of Erlangen where this also happens outside of the fabulously multi-cultural MCC. Lufthansa won the toss and elected to bat. There was much activity during the setting up of the wooden track and when we paced it out, it was two yards short. Plenty of jiggery-pokery ensued and eventually we were underway. •	More difficult for the batsman to settle in against any bowler. •	A longer rest between overs for the bowler without cooling down too much. •	A captain can see who his better options are on the day without having to interrupt another bowler’s spell to find out? •	I does cause quite a nice natural rotation in the field for the bowlers after an over. Keeps their mind agile, you hope!? •	A bowler might not feel he finds his rhythm so easily, due to the longer wait between overs. Waqas opened up alongside Macca and Adrian Brooks. Waqas and Macca have been doing sterling work as an opening pair for me in the first team and Adrian was hot off the back of a hatrick the day before. Waqas finished with figures of 3 overs, 2 maidens, 4 runs, 0 wickets. Macca – 3,1,8,0 and Adrian a remarkable 3, 0, 38,3!!! The rest of the bowling was quite horrific, but everybody got a go. This is what friendlies are for, after all. Not everybody can make it to training and not everybody gets a game in the league. 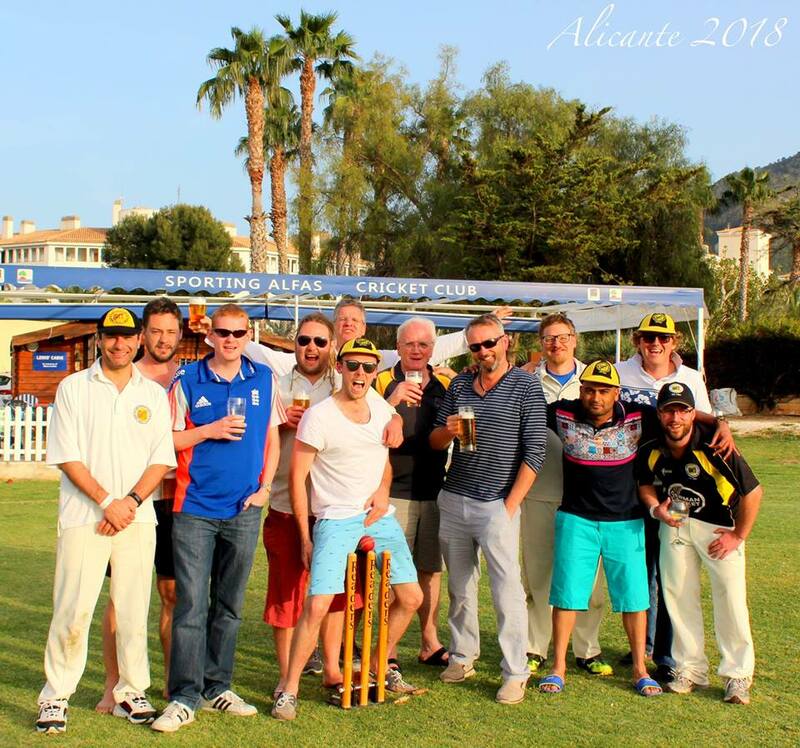 Sunday friendlies are where we all get to bond with other club members and everyone gets a go. It has to be said though that there were a lot of people who struggled to hit a 2.5m wide board, let alone get the ball on the off side of the stumps. The resulting extras were quite crippling. 41 in all. Nearly double what their top scorers achieved. This was a 30/30 match as France were about to thrash Croatia in the kick-ball world cup final (France were in Blue and Croatia Red, for anyone still wondering?) and people wanted to get back to watch it. Lufthansa finished on 121 – 9 after their 30. It is a small ground and there was batting power in our team, so although they had got far more than we would have wished, we felt we had the guns to match it. Unfortunately those guns included myself, Macca and Sumeet, all of whom were struggling for form at the time. Never-the-less, this is again what Sunday friendlies are for and so Sumeet and I walked as confidently as possible to the crease to dismantle the 121. I returned, quite bemused at having been bowled by a ball that had pitched very wide on the board. I had gone to cut it and lost my off peg. What the hell was I doing cutting a ball that was on the stumps? Pierre faired one run better than me, returning bowled for two. Things weren’t really panning out. The bowling was accurate but not very challenging, yet two of us had been cleaned up and Sumeet was clearly finding it hard going too. James Kantor made everything look much easier and a couple of lovely drives that he’s been practicing in the nets came off, but then with the run rate escalating he resorted to a heave across the line which let the ball through. Jabez returned for 3. Macca has been in sparkling form from the start of the season, with bat, ball and in the field. The previous two innings he’s had a couple of low ones and this resulted in a dented confidence. It doesn’t take much sometimes, but here was a rescue mission that Macca has saved us from before. Right man, right moment. I’d showered, packed my bag and was ready to umpire so Maxi Hoeck and I walked to the middle together. I took my place at the bowlers end and watched as the next few balls were bowled. I don’t bowl these days, but if I had, I would have immediately noticed that the stumps were about half a meter out of alignment… Not one of my bowlers had mentioned this and it did start to explain a lot of what had happened up to this point during the day! In order to hit the stumps at the batting end, the ball had to hit the batting board about where the wide mark would be if you moved it down the pitch for a good length delivery. No wonder that our blower’s had spayed the ball everywhere. No wonder that balls that looked wide of the stumps were cleaning up. The basic geometry of the pitch was screwed! Too late to change anything, I was forced to stand there and watch events unfold, muted. It was a pleasure to share umpiring duties with Des Bradley. He virtually skipped past me as we swapped positions each over. Both of us wanting to get the game over before the large, looming black clouds that were threatening in the ever-decreasing distance came to visit. Maxi (as he often does) took a little time to assess the situation before he began hitting the ball cleanly. He does pace an innings well and tends to keep things simple, avoiding clever little dab shots that result in so many wickets. He favours a classic off drive and punishing leg-side lofts. It was paying off. Sumeet took his lead from Maxi and also starting to tick. A partnership was developing just as Sumeet was caught for a hard earned 26. The score was on 64, but the over the wicket occurred in has not been recorded. I should think it was around the 20 mark? Waqas was in up the order from his ritual #11 spot and happy to inject some pace in to the run scoring. His first ball disappeared for 4 shortly he too disappeared to unstrap his pads, bowled by a ball that did nothing except come in at an angle that would be impossible to bowl anywhere else. Big boned Brooksy joined Maxi and a lovely shot that would have yielded an easy two resulted instead in Adrian being run out by a couple of yards as Max and he calamitously collided mid-run. Both parties guilty of ball watching. The descent continued when Rahul Dave was bowled by a wide ball, without scoring. Shashi was run out as was Usman, Max left stranded on 40. He may have got us close enough to cross the line had he had partners to do it with, but alas we had all succumbed and had nothing left to look forward to than watch a game of football. MCC all out for 108. Once the game ended, Max, Rahul and I bought them a celebratory bottle of wine and a very pleasant evening was spent talking all things other than sport. MOM – Maxi Hoeck for saving our blushes. More Friendlies please Craig Barrett! I know it’s an uphill task and you are doing your best, but Cricket needs you!!! !